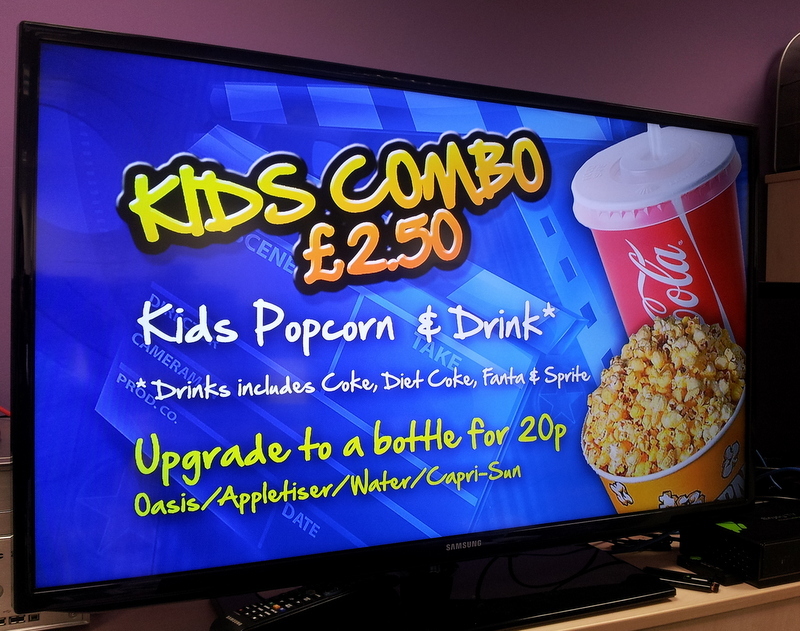 Located in Letchworth, UK- the world’s first Garden City, Broadway Cinema have decided to adopt greener communications using a digital signage solution provided by Blackpool- based multimedia company, Review Systems and run by our digitalsignage.NET. By replacing paper posters with digital ones, they are now able to communicate a variety of information such as meal deals, upcoming movies and ticket prices, in an eye-catching format (images and HD videos) and reduce the consumption of paper and its associated costs. The displays are managed by Review Systems (a partner we acquired at the beginning of 2012) that also creates the content for the venue and schedules it in digitalsignage.NET. 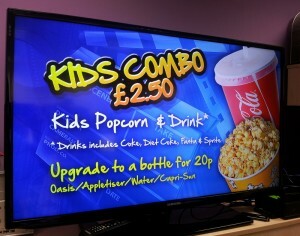 The venue information is mixed with adverts of local businesses, generating extra- revenues for the cinema. 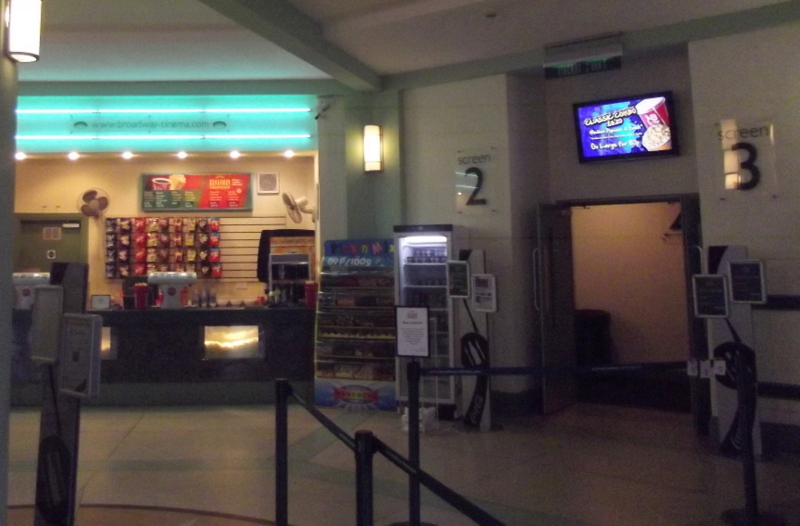 ‘’I think cinemas have an advantage over other types of businesses.’’ said Brown. ‘’They usually have a large number of people inside their premises on a regular basis, people that many other local businesses want to reach (think solicitors, colleges, hairdressers etc). So selling advertising space on the screens isn’t only natural but also much easier for them.’’ And in this case, it’s all for a good cause. 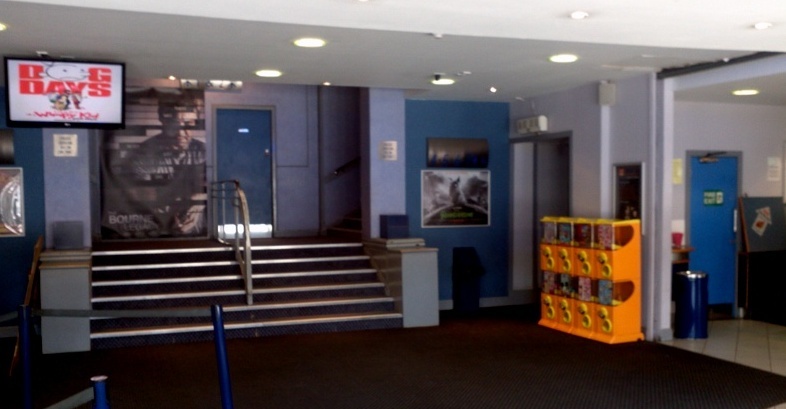 The Broadway Cinema is part of the Letchworth Garden City Heritage Foundation, and the purpose of its existence is generating money for the charity that invests it back into Letchworth Garden City. Blue Cross is another charity that uses digitalsignage.NET for the same reasons- to increase sales for the benefit of its animals in need. 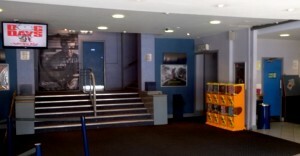 Our digitalsignage.NET is also powering the digital advertising screens of Perth Playhouse Cinema (see the photo below), those too managed and installed by Review Systems. This entry was posted in and tagged digital signage, digital signage advertising, digital signage in cinemas, digital signage software by Dynamax. Bookmark the permalink.